Want to test or judge this product first? Request a sample. You will receive a digital print proof ASAP. The delivery dates mentioned are achievable when you approve the print proof before Wednesday 24 April 08:00h. Remote areas can take longer. Do you need a specific date / sooner – please contact us. 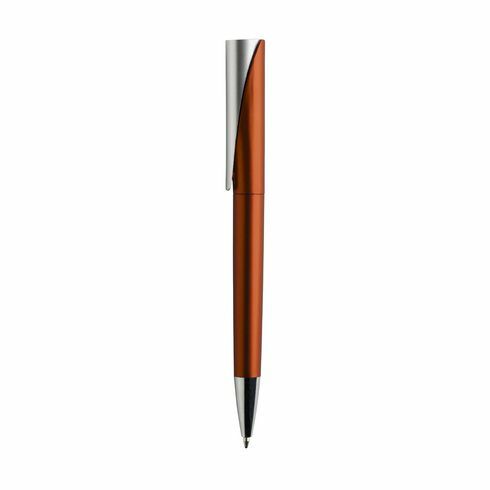 Blue ink ballpoint pen with • matte metallic look barrel • an outstanding designed clip that fits perfectly with the shape of the barrel.